At the beginning of March one of the bloggers, arjeha, wrote a post about Feeling Old by argeha. If you have not read it, and have time...do. He mentions about a site where you can type in your birthdate and find out what the number one song was on the day your were born. The site is http://playback.fm/ . You can also find out the number one song on the day you were conceived. Of course, I checked out the site...and like arjeha, I too, felt a bit old. The number one song on my birthday was "The Tennessee Waltz" by Patti Page. 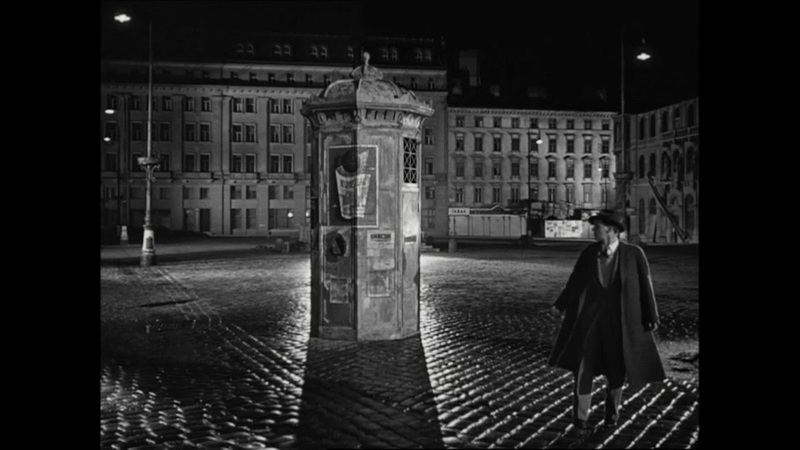 The number one song on the day I was conceived was "The Third Man Theme" by Anton Karas. That made me smile. 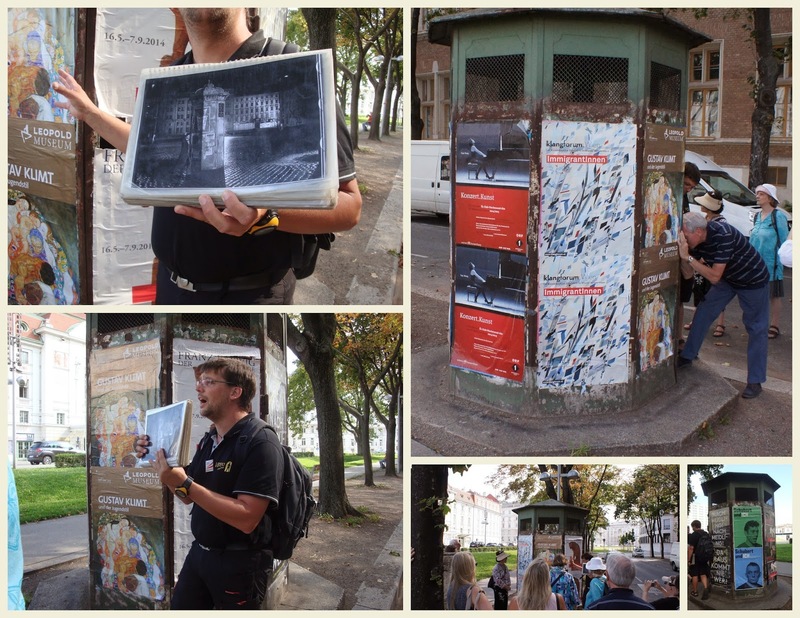 Just last summer, Ray and I had taken the Third Man Walking tour in Vienna, Austria. This tour takes you to many of the places where the film took place. Ray had found this tour. He is more of a movie buff than I, but I always find it interesting. We often like to get off the beaten path when we travel, as this tour was perfect. Our tour guide would explain each stop in German first...and then switch to perfect English for those of us English speaking. He was amazing when he answered questions and would switch from German to English, making sure all of us were satisfied before we headed to the next stop. The movie is about a man, Holly Martins, played by Joseph Cotton, who travels to Vienna post WWII to meet up with an old school friend, Harry Lime, played by Orson Welles. Harry had told Holly he could get him a job. Before Holly got there, Harry was hit by a car and killed. Holly was left to figure out what happened. A "Third Man" was seen helping carry Harry's body to the morgue. Holly is intrigued by who this 'third man' is...and finds out that it is really good old Harry. Harry turns out to be a nefarious character...stealing penicillin from military hospitals, diluting it, and then selling it on the black market. Many people, including children died from this tainted penicillin and the police were after him. I won't tell anymore...it is like a cult black and white movie...so check it out some time. The rest of the blog will be of pictures from the movie next to some pictures that we took of the same places. 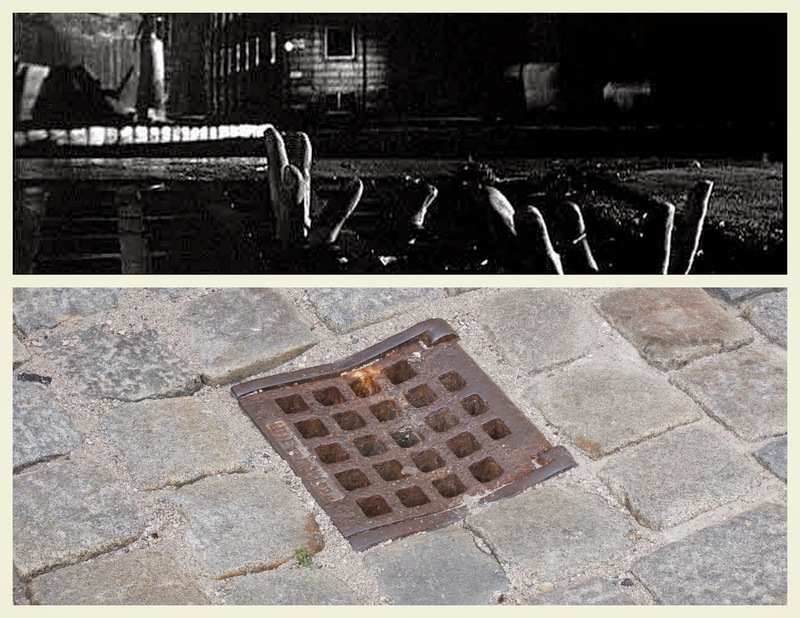 This picture shows the kiosk where Harry climbed down to the sewers to escape the police. His friend, Holly was chasing him too. when they filmed the movie they moved the kiosk to a square with a big statue in the middle. If you look carefully you can see the steps to the statue to the right of the kiosk. When we saw the kiosk it had been moved back to its original spot. The black and white pictures are from the movie and the one in color are ours. 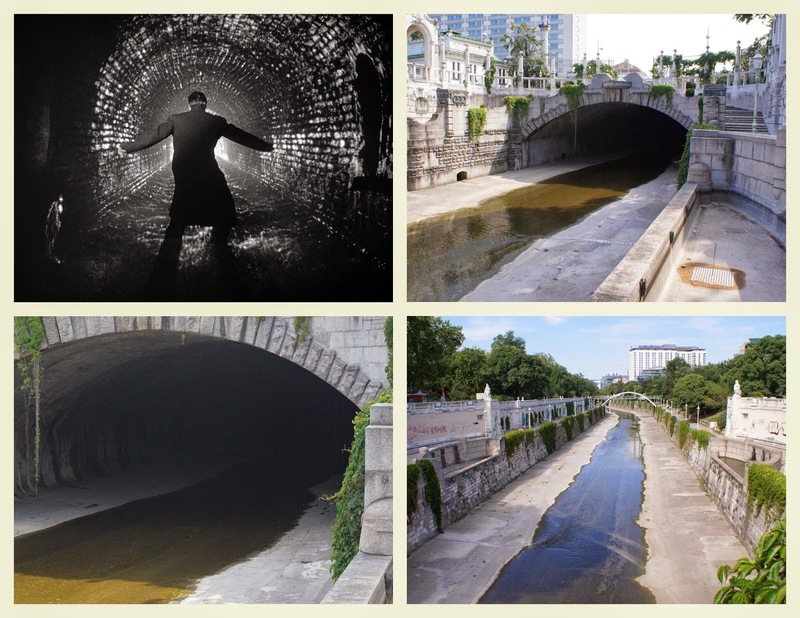 The next pictures show where the chase scene in the sewers took place. We were told that Orson Welles did not want to get his feet wet in the sewers so they used a double for him in these scenes. Here is the grate where Harry tried to use as an escape...but failed. I think the picture of his fingers poking out of the grate is kind of sad. There was a cat in the movie that belonged to Harry's girlfriend, Anna, played by Alida Valli. We were told that Orson Welles put fish oil on his shoes so that the cat would come to him. On the tour, our guide was texting...and later I realized he was texting the people who lived in the house where Anna and her cat lived. 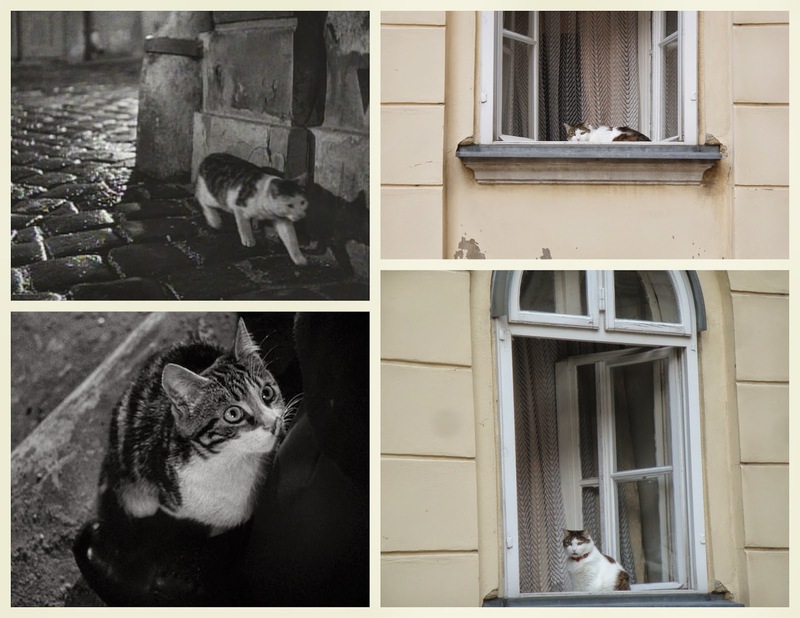 When we got there...a cat, looking very much like the cat in the movie, was sitting in the window as if to greet us to this part of the tour. I felt like I had stepped back in time. One place the tour did not take us was the Riesenrad, a giant Ferris wheel. This is where Harry met Holly to try to convince Harry to join him in the black market trade. Ray and I visited the Riesenrad on our own and even took a ride on it. It is said to be the oldest Ferris wheel in the world. It was built in 1897 and at that time was thought to be the largest Ferris wheel in the world. It was damaged in WWII, but repaired so that we can enjoy it today. Holly and Harry meeting in a gondola in the Riesenrad. Holly sitting in front of the Riesenrad. The Riesenrad reminds me of an antique London Eye. Here are two pictures of the London Eye that we took a couple of years ago. It is so cool to get to the top and see either Vienna or London. I know other cities are building these big Ferris wheels, and I hope we can ride on more. We missed the one in Paris, but might get there this summer. 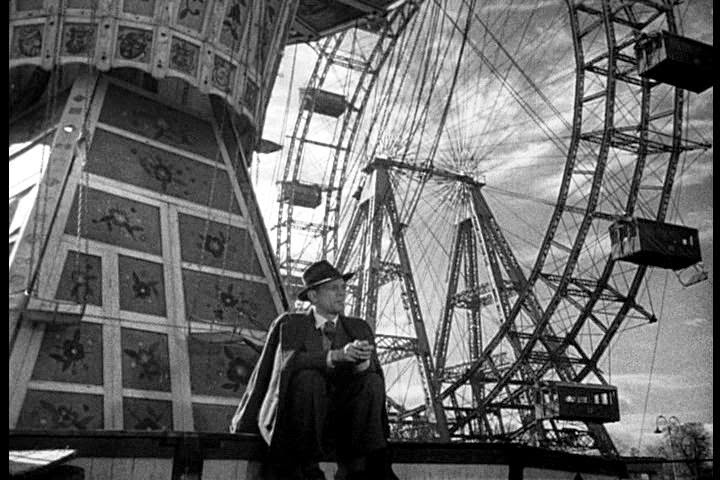 I have seen The Third Man and enjoyed it. I didn;t know there was a walking tour.I know that I will never get there and take the tour so thank you for providing the tour and information in pictures. That Ferris wheel - never get me on it. I am not a fan of heights. Kathy, however, would love it. Thanks for mentioning the site where you can find out the song for your birth date. 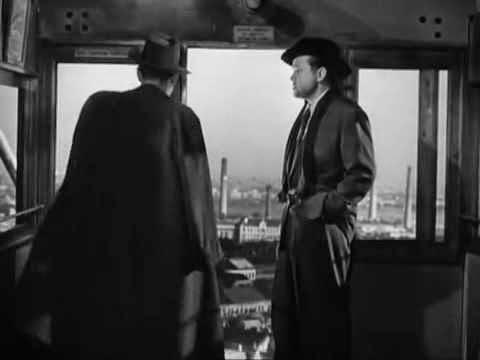 I have never seen The Third Man. It may be because I was never a huge Joseph Cotton fan although my mother was. We used to love to watch the old movies when I was growing up. You find the most interesting things when you travel. I've never heard of this movie. I love the way you collaged the photos.